The DRV2604 device is designed to provide extremely flexible haptic control of ERM and LRA actuators over a shared I2C compatible bus. 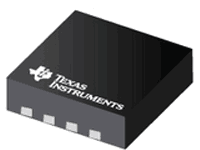 This control relieves the host processor from ever generating pulse-width modulated (PWM) drive signals, saving both costly timer interrupts and hardware pins. The BUF18830 offers 18 programmable gamma channels and two programmable VCOM channels. "The BUF12840 offers 12 programmable gamma channels with external electrically erasable programmable read-only memory (EEPROM) read capabilities. The BUF12840 has two separate memory banks that allow simultaneous storage of two different gamma curves to facilitate switching between gamma curves." "The BUF08832 offers eight programmable gamma channels and one programmable VCOM channel. The final gamma and VCOM values can be stored in the on-chip, nonvolatile memory. To allow for programming errors or liquid crystal display (LCD) panel rework, the BUF08832 supports up to 16 write operations to the on-chip memory." 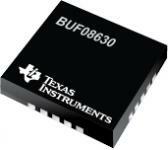 "The BUF08630 offers eight programmable gamma channels and one programmable VCOM channel. The final gamma and VCOM values can be stored in the on-chip, nonvolatile memory. To allow for programming errors or liquid crystal display (LCD) panel rework, the BUF08630 supports up to 16 write operations to the on-chip memory."